FTC disclaimer: I received a free product in exchange for a fair and honest review. This post contains affiliate links. I am not very artistic when it comes to non-fiber arts, but I do enjoy coloring and some Bible journaling. 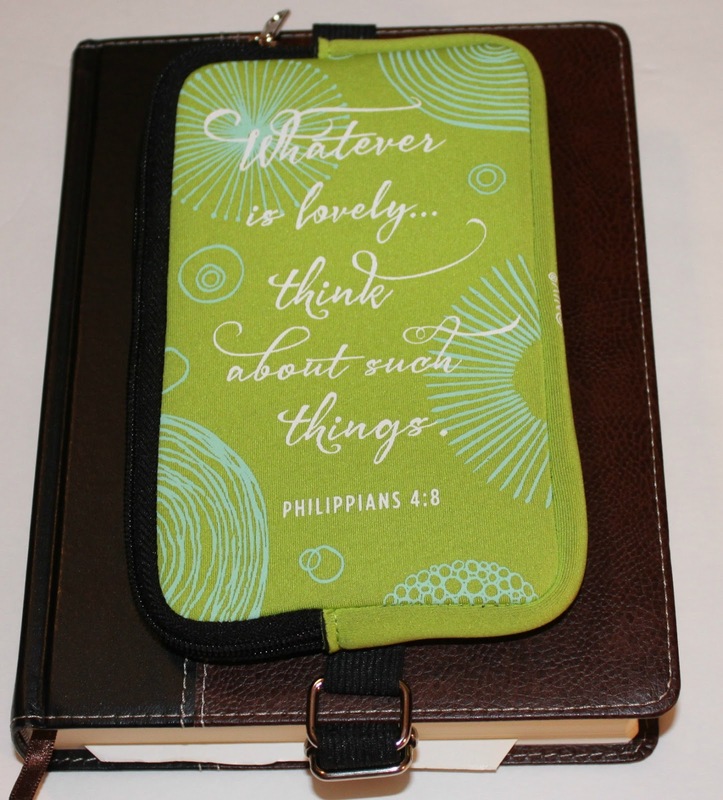 With my Bible journaling I often just recreate Bible verses with lettering, but still this kit seemed perfect for me. I love the pouch. 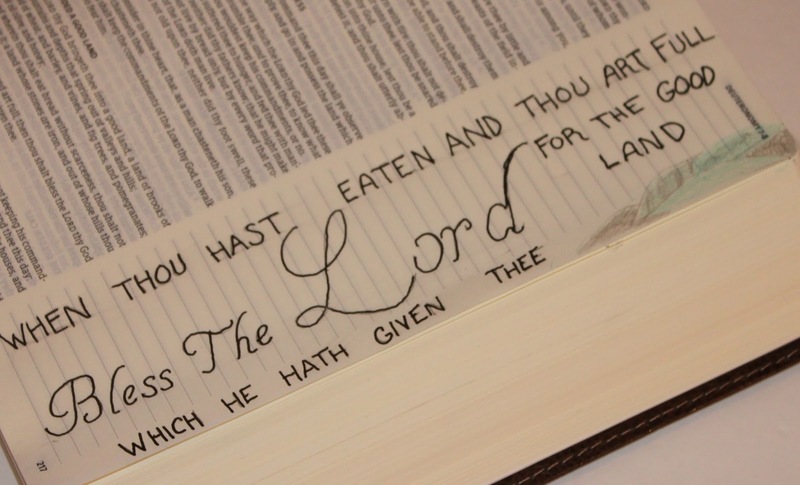 It hooks on to my Bible so I can have a number of things right on me at any time I have my Bible with me. It is adjustable so it could be used on most Bibles. I was disappointed in the coloring pencils. You twist them to advance them, so they don't need sharpening, but I was hoping for better quality. I will say as full disclosure I have been using top of the line (read VERY EXPENSIVE) coloring pencils which cost me more than this whole kit did. So I know I have been used to the highest quality coloring pencils out there, and I know pencils of that quality can't be included in a kit like this. I love the page protector mat. I'm all about stencils, so I loved the die cut edge. There were a total of 11 sheets of stickers (3 of them tab stickers). I did not see anywhere they were acid-free, so I didn't want to use them in my journaling Bible as it is something I want to hopefully turn into a family heirloom. I do wish instead of the alphabet stickers that there would have been a sheet of stencils. I think that would have been much more useful, and when used you wouldn't have to count how many letters you were using to make sure you had enough to complete your project. Finally, the archival quality journaling pen was great. I haven't yet bought a good journaling pen, and this is perfect for the way I do Bible journaling. This would be a good gift for a child or someone just getting into Bible journaling. For someone who has been in it a while, I would expect they would already have their favorite pencils, and without knowing if these stickers are acid-free, someone who has already been into Bible journaling for a while may not want to use these stickers. But I feel certain a little girl would LOVE this kit to design her Bible the way she would want. You can purchase this kit at Amazon, Barnes and Noble, Books a Million, or Christian Book Distributers. 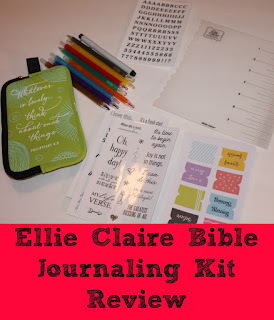 Ellie faith is giving away FIVE of these kits at their website, so be sure and go enter. 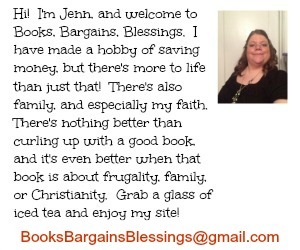 Also, I have a kit to give away to a reader of Books, Bargains, Blessings. You must live in the continental United States to enter this giveaway. Must be18 or older, and must respond to winning e-mail within 2 days or another winner may be chosen. Philippians 4:13. I can do all things through Christ who strengthens me. Thanks! My favorite verse is Phillipians 4:13 "I can do all things through Christ who strengthens me!" I have this written on my computer screen at work and at home. Never get tired of reading it! I love John 3:16. I say it every day. My favorite bible verse is John 3.16. John 3:16 has been my favorite verse since I was young. My favorite Bible verse is Hebrews 13:6. The Lord is my helper and I shall not fear what man will do unto me. My favorite verse is Jeremiah 29:11. kristiedonelson(at)gmail(dot)com Thank you. Philippians 4:13 is my favorite verse! Psalm 121 is my favorite Bible verses. Romans 8:28 And we know that God works all things together for the good, of those who love Him, who are called according to His purpose. I like the very beginning when they say God created Earth in 7 days. To me that is the most powerful thing. Its really hard to choose just one but I refer to Phillipians 4:13 "I can do all things through Christ who strengthens me!" a lot!! !